Poppies rank as quintessential plants for pollen production. I am not a beekeeper. I am, however, a professional entomologist and an avid gardener. As such, I am always on the lookout for flowering plants that are both aesthetic and especially attractive to pollinators such as butterflies and bees for my home garden in south Louisiana. Over the past decade I have sampled dozens of plants. None, however, has impressed me more than a group of Spring annuals characterized by uniquely showy flowers and commonly referred to as poppies. Actually, I have experimented with four species: native California poppy, European Shirley poppy, Arctic Iceland poppy, and Asiatic common garden – aka breadstick, oilseed, or most commonly, opium poppy. The inflorescences of all species lack nectaries, thus there is no sugary nectar available to pollinators. By contrast, flowers are packed with pollen-bearing anthers. One species, though, proved the juggernaut: THE OPIUM POPPY. For specifics, the opium poppy is technically classified as Papaver somniferum. The name translates as “sleep-inducing” poppy. The designation is a reflection on the species’ storied reputation as the source of raw opium, a potent narcotic derived from the milky latex (sap) produced in the walls of unripe seedpods. (Raw opium is the basis for medicinal morphine, heroine and codeine.) Although all narcotics are controlled by the U.S. Drug Enforcement Administration, in practice, P. somniferum may be cultivated by American homeowners and in public gardens for ornamental and educational purposes without reprisal. Seeds are marketed on the Internet and in food stores; young plants can often be purchased in spring at many local garden centers. The opium poppy is native to the Eastern Mediterranean region, principally Turkey. There winters are pronounced and rain is reduced. The poppy has been cultivated as an exotic annual in accent gardens throughout Europe and North America for centuries. Also, these poppies have a long history of field cultivation for culinary purposes (cooking oil and flour, pastries and bread, for examples), and sources of narcotics. In fact, images of poppies are recorded in ancient Sumerian artifacts dating to roughly 4000 BC. My individual poppy plants mature at between two and four feet. Leaves are large, heavily lobed, and an attractive silvery-green in color. Blooms begin as an egg-shaped bud on a terminal, goose-necked stem that gradually straightens as the petals unfurl. Flowers are large – as much as four to nearly six inches across. Petals are silky, crape-like. Colors include red, rosy pink, salmon, lavender, purple, and white. Additional variation occurs in flower shape. The basic form, for example is four petaled—the typical “poppy form” that is recognized universally. Horticulturists, however, have developed complex forms that consist of thin multiple petals, and even a powder-puff or pom-pom configuration that resembles a fancy chrysanthemum or carnation. There is virtually no fragrance except in specific varieties bred for the trait. Seed pods are large, globe-shaped, and topped with a winsome crown. As a pod dries, small windows beneath the crown open, facilitating the spread of seeds into the environment by wind and seed-eating birds – particularly doves. The dried/empty pods are stunning to the point that they are frequently included in decorative flower arrangements by commercial florists. Each bloom of P. somniferum packs an extraordinary number of cream-colored anthers (tips of stamens – male reproductive organs). I have counted as many as 100-150 anthers per plant. The stamens surround a large central grayish-green pistil (female organ) with an ovary that contains myriad ovules (2000-3000), the forerunners of an equal number of miniscule seeds. Flowers are reported to be self-pollinated as well as cross pollinated by small flies (flower flies/hover flies of the family Syrphidae) and bees (http://urbanpollinators.blogspot.com/2014/03/flies-forgotten-pollinators.html and http://bioweb.uwlax.edu/bio203/s2009/wasicek_lind/Adaptation.htm). In my garden, honey bees have proven to be the chief pollinating agent. I have, in fact, commonly logged in as many as four and five individual honey bees foraging frenetically within a single flower. Amazingly, I have observed that in spite of the difficulty in reaching the stamens within flowers that have compacted petals, the bees are able to burrow, emerging with pollen baskets enhanced and their bodies speckled with individual grains of pollen. Most visitations to my garden occur between early morning and noon. The activity from as many as 100 individual bees creates a discernable “hum” throughout my garden – something that I eagerly point out to any neighbor who happens to drop by. (Yet in spite of my frequent prying eyes and camera lenses, I have never been stung.) As the afternoon progresses, honey bees drop off but are replaced by a small number of bumble bees and carpenter bees. Sunny days are best although clouds do not completely interrupt foraging. The difference in foraging time between species seems to be an ideal adaptation for reducing competition, thus maximizing productivity. A given plant blooms for about three weeks, although each flower remains fresh for only two to three days. But when temperatures climb above 80 degrees F, flowers can quickly wilt in but a single day. Even though poppies are decidedly ephemeral, their bloom in early Spring is perfect timing for bees emerging from their Winter hibernation and in search of quick energy and pollen to restock their depleted hives. After seed pods dry in late spring, harvest most of the bountiful seeds. These are rich in oil, reported to be 45-50 percent (https://hort.purdue.edu/newcrop/duke_energy/Papaver_somniferum.html) and (http://www.nutrition-and-you.com/poppy-seeds.html). Store within a paper bag within a sealed plastic bag within a refrigerator until the following Autumn. Cooled seeds can remain viable for five to six years – probably because of protection by their high oil content. When in the ground, viability is uncanny. The more sandy and dry the soil, the greater the longevity – up to several years. But if you enjoy baking, augment your baked products with a healthy sampling of the tiny dark seeds – aesthetic and highly nutritious with a nutty flavor. Before closing, I would be remiss if I did not address two intriguing questions that often surface during discussions of poppy pollination. First, while the pollen from poppies is extraordinarily attractive to bees is poppy pollen actually nutritious for the insects? 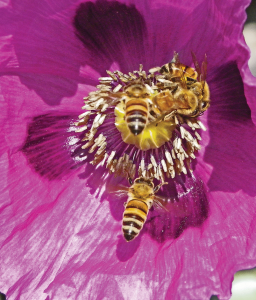 Furthermore, some research (http://www.honeylove.org/top-30-flowers-for-bees/) includes “poppies” as #26 in a pantheon of 30 favored pollen sources for bees. (Cosmos is listed as #1, but my experiments have revealed that the rather small size of these flowers rank it as a poor second to P. somniferum for pollen production.) Of course, the size and morphology of pollen grains reflect their evolutionary history. I theorize that those plant species that rely on pollination by the wind have adapted strategies that best meet those objectives (large and highly sculptured cell walls, for instance). By contrast, those species that have adapted to insect pollinators have developed other unique strategies (smaller size, for example) to satisfy their specific hosts. Most likely P. somniferum from the very onset of its developmental history has depended upon insect pollinators. Conjecture, of course, but still poignant. 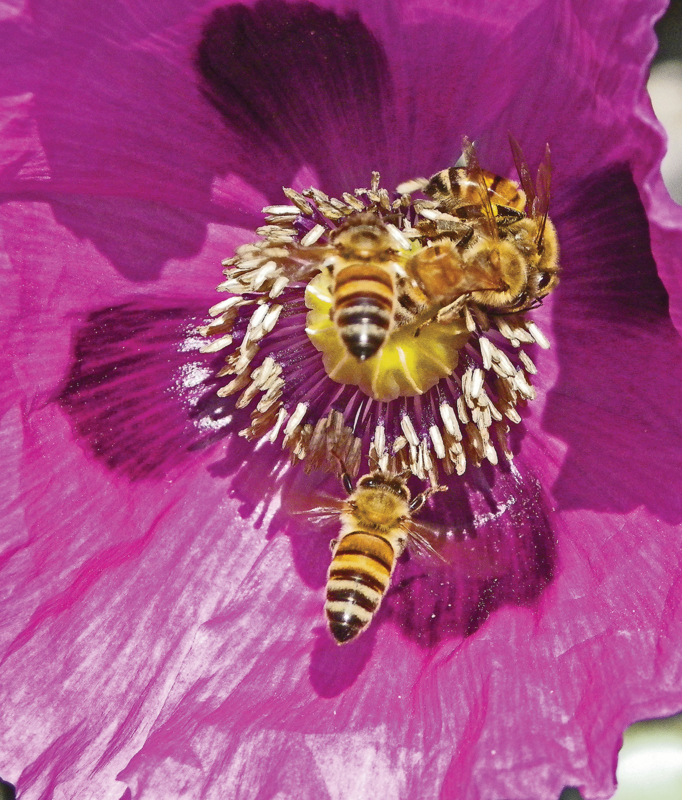 Second, does the pollen from poppies contain narcotic opiates, and if so, are these substances incorporated into honey and other bee products? Consider the role of plant opiates. All plant alkaloids (including opiates) are potent astringents, even toxins to many vertebrates. Such compounds were originally synthesized as protection from potential predators – not as medicinal or recreational drugs for human beings. The fact that most poppy opiates infuse the walls of the developing seed capsule indicates to me that their primary goal is to protect the huge load of seeds that are responsible for a future generation. Why lace pollen? 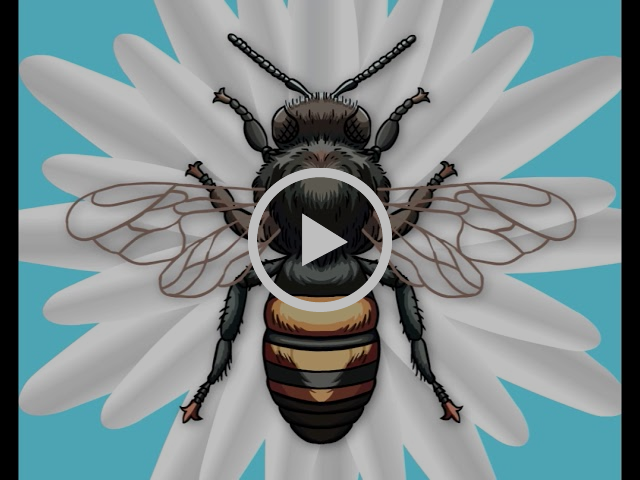 After all, pollen must remain alluring – indeed, safe – for pollinators. Furthermore, scientific analyses have documented that the seeds possess only minor traces of opiates (http://www.snopes.com/medical/drugs/poppyseed.asp), understandable since there would be no need to poison potential vertebrate foragers that could disperse the prodigious seeds. 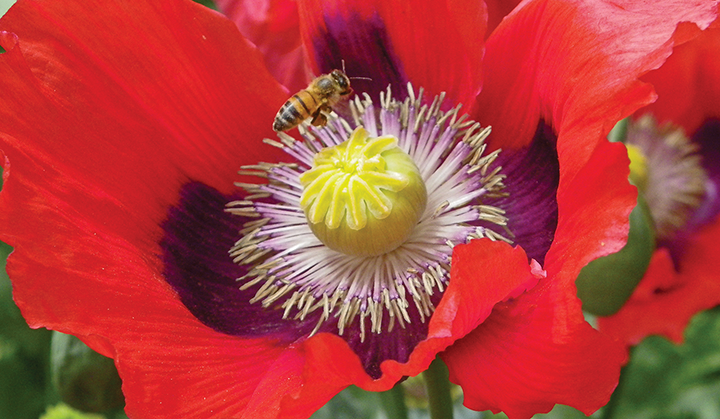 The bottom line is that in all probability, pollen from opium plants – as well as all resulting bee products – is, or is virtually, free of opioids. 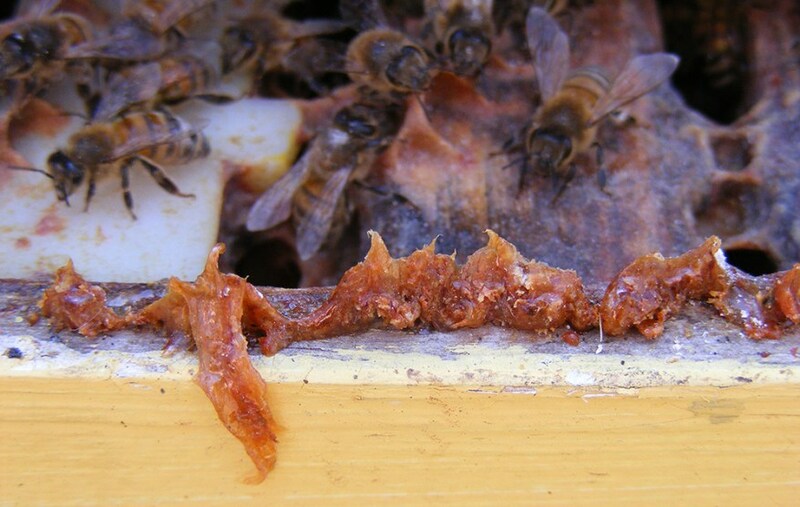 No need to concern yourself with consuming bee honey, bee bread, or pollen from bees that have foraged on poppies. Gary Noel Ross, Ph.D. is a retired Professor of Biology, Southern University, Baton Rouge, LA. He currently serves as Director of Butterfly Festivals for the North American Butterfly Association (NABA) and as a Research Associate of the McGuire Center for Lepidoptera and Biodiversity, Florida Museum of Natural History, University of Florida, Gainesville. He frequently writes for NATURAL HISTORY and GRIT magazines.